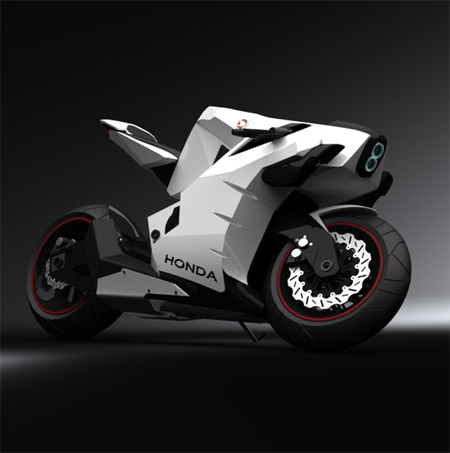 Honda CB750 concept is actually a predecessor to the previous 70-80 CB and has reborn as a next generation smart bike with brilliant performance, breaking, handling and technology. 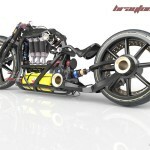 This bike holds a 750cc heavy duty four cylinder engine and liquid hydrogen will be used as fuel. Its duel clutch transmission includes features like automatically controlled launch control and grip control for wet days. Honda CB750 features a full on, rear and front electro-magnetic suspension which will ensure less maintenance. An onboard computer allows the user to tune anything from the traction control to the engine. 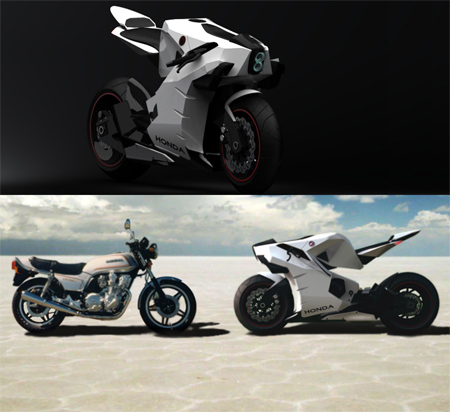 The body and the frame of this bike is a unibody construction manufactured with aluminum and carbon fiber. The CB750 features a full on, front and rear electro-magnetic suspension. 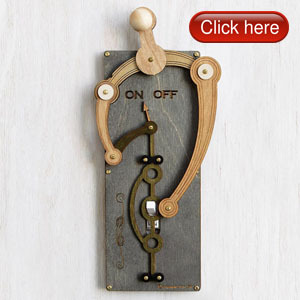 It’s less maintenance and can be electronically adjusted for best performance. Bikes sensors will give out a read out every 1/10 of a second and will adjust everything from suspension to the rider’s seat height giving best and safest performance you can get. 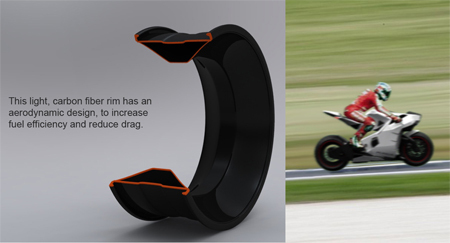 The safety, everything you would expect in a motorcycle from 2015. Electronically controlled ABS, Airbag, Traction Control and Steering Damper. 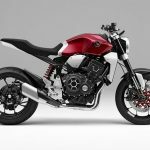 The system will also feature a radar technology to sense an upcoming head-on collision and will automatically slow the bike. 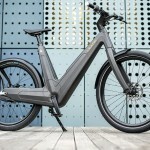 Of course some of these features can be electronically disabled to suit the rider. 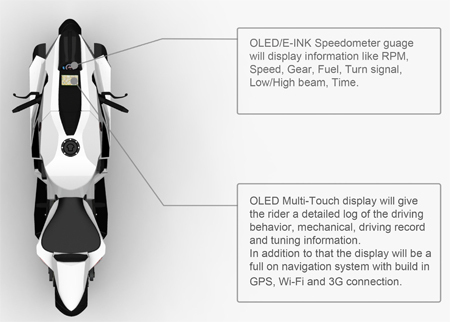 Now the onboard computer, which can be controlled through a 5″ OLED multi touch display positioned right on the fuel tank. There are 3 menus: GPS, Drive modes, diagnostics mode. 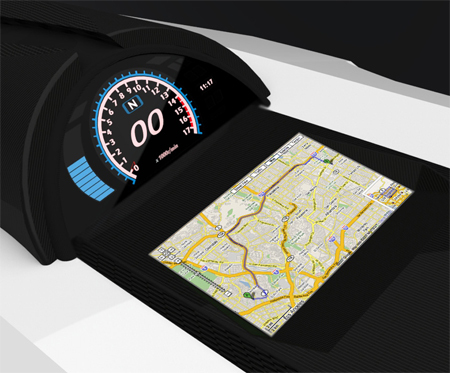 GPS mode is like your standard GPS that will give you directions and etc, but it will be connected to the internet through Wi-Fi and 3G. 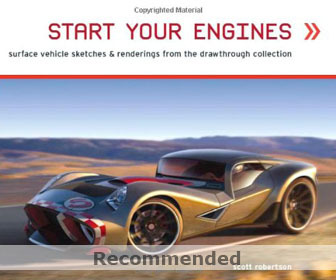 This will enable you to find information on the go and implement it to your rout. 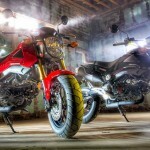 Tagged as honda cb750, launch control, liquid hydrogen, magnetic suspension, performance bikes, steering damper. 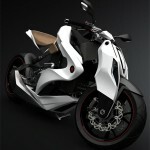 Great bike! For sure a real nice tribute to the original CB750. 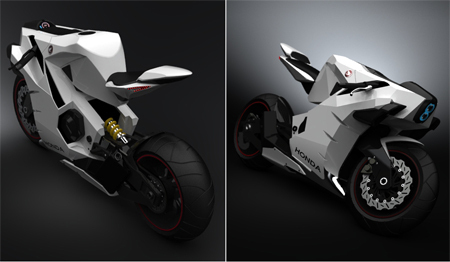 If Honda only had the guts to contact the designer and put this bike in production, that would be fabulous. Might need to fine tune bike body & use Biofuels until LH2 is more widespread BUT I love the GPS & data displays. 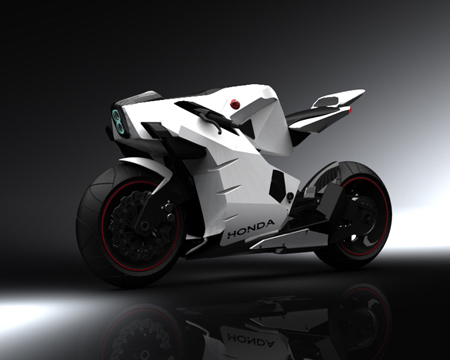 Honda lisc & sell that alone to Victory motorbikes etc & they pay U a Fee. That alone makes biking worthwhile. Id add Buddy Seat & side bags for luggage, picnic basket, to make Bike more usable. I think methanol would work better than ethanol, and that way there wouldn't be any price drive ups for corn products. I love the design. I agree with Stephen. But instead of ethanol use methanol so no food price increases, love the design. Maybe fuel cell too. 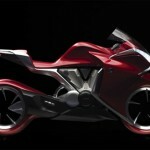 A very futuristic bike which none the less looks usable. Love to see more of Mr Chak's work. Shouldn't there be some kind of aerodynamic compensation for the driver's torso? Like a miniwindshield? I like the angular look to it. Gives it shape instead of being almost just a frame. 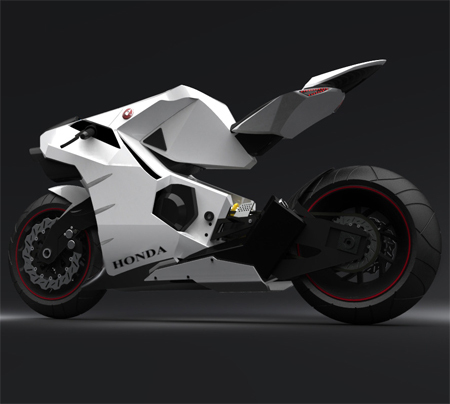 This is the perfect bike. not bad for a clown bike but no good for the real bikers, back to the drawing board. 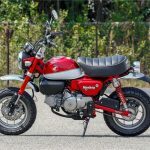 agree with madpup, why is the rider so high off the weight of the bike? also in the picture it looks like the rider is too short for the bike, i dont think his feet will touch the ground. can you tell about magnetic suspension set up in this honda cb 750 bike………i want to know that magnetic suspension system……..
this is the future bike honda is the best! if may send it for me freely. 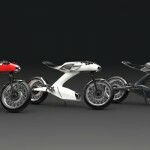 WOW,are these for real,electromagnetic motorcycles,what about Dirtbikes,mopeds.how does a person(s) purchase any contact info or catalogs?I want one of these! Cool. What about the windblast encountered? 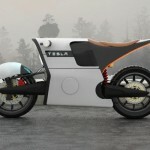 It looks just OK in designs but the practicality of actually riding it is very limited.